The most difficult part of facing a wrap around is timing. Timing of when to drop down to the ice, timing the arrival to the post when tracking the puck below the goal line, timing of when to cut off passes or be more aggressive with the stick, etc. Timing is not only relative to what is going on with the puck below the goal line, but it is also directly linked to what is occurring above the goal line. 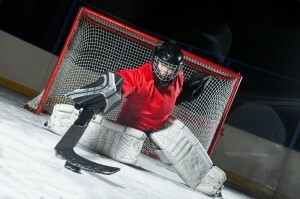 Therefore, there’s a lot to consider for goaltenders. But how does timing affect our overall ability to stop and control the flow of the game?